Our guide to Charlotte will help you find the best kid friendly parks in Charlotte North Carolina. Though Charlotte dates from Revolutionary War times (it is named for King George III's wife, Queen Charlotte), its Uptown is distinctively New South, with gleaming skyscrapers. Uptown encompasses all of downtown Charlotte, its business and cultural heart and soul. It's also home to the government center and some residential neighborhoods. And public art is keeping pace with the city's growing skyline. Examples of this are the sculptures at the four corners of Trade and Tryon streets. Erected at Independence Square, they symbolize Charlotte's beginnings: a gold miner (commerce), a mill worker (the city's textile heritage), an African-American railroad builder (transportation), and a mother holding her baby aloft (the future). There are tons of great kid friendly parks in the city of Charlotte, our city guide will help you find the best kid friendly parks. You may have a hard time deciding what to do in Charlotte, but we make your decision easy. 100 Coulwood Park Dr, (704) 336-8096 - Coulwood Park is a kid friendly park located in Charlotte NC. 10200 Nations Ford Rd, (704) 643-5725 - Ramblewood Park is a kid friendly park located in Charlotte NC. 1035 Rama Rd, (704) 568-4044 - Rama Road is a kid friendly park located in Charlotte NC. 1120 Harrill St, (704) 336-3367 - Little Peoples Park is a kid friendly park located in Charlotte NC. 1129 E 3rd St, (704) 432-4280 - Thompson Park is a kid friendly park located in Charlotte NC. 1200 Baxter St, (704) 432-4280 - Pearle Street Park is a kid friendly park located in Charlotte NC. 12025 Winget Rd, (704) 529-1827 - Thomas McAllister Winget is a kid friendly park located in Charlotte NC. 1221 Alleghany St, (704) 353-1165 - Camp Greene is a kid friendly park located in Charlotte NC. 1300 Spruce St, (312) 747-6001 - Abbott Park is a kid friendly park located in Charlotte NC. 1300 Tarrington Ave - Sheffield Park is a kid friendly park located in Charlotte NC. 1330 Spring St, (704) 336-3367 - Greenville Park is a kid friendly park located in Charlotte NC. 1501 Enderly Rd, (704) 353-1165 - Enderly Park is a kid friendly park located in Charlotte NC. 1505 Waddell St, (704) 353-1165 - Waddell Street Park is a kid friendly park located in Charlotte NC. 1520 Clanton Rd, (704) 353-1165 - Clanton Park is a kid friendly park located in Charlotte NC. 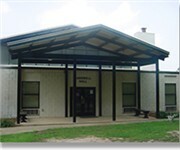 1604 Little Rock Rd, (704) 378-1000 - Robert L. Smith District Park is a kid friendly park located in Charlotte NC. 1701 W Morehead St, (704) 492-8527 - Bryant Park is a kid friendly park located in Charlotte NC. 2100 N Davidson St, (704) 336-3367 - Cordelia Park is a kid friendly park located in Charlotte NC. 2100 Wilhelmina Ave, (704) 336-3367 - Midwood Park is a kid friendly park located in Charlotte NC. 2136 Central Ave, (704) 432-4280 - Veterans Park is a kid friendly park located in Charlotte NC. 219 Providence Rd, (704) 432-4280 - Colonial Park is a kid friendly park located in Charlotte NC. 2215 Double Oaks Rd, (704) 336-3367 - Anita Stroud Park is a kid friendly park located in Charlotte NC. 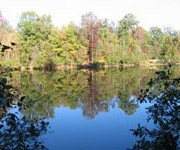 2219 Tyvola Rd, (704) 527-0237 - Marion Diehl Park is a kid friendly park located in Charlotte NC. 222 Wyanoke Ave, (980) 343-0692 - Chantilly is a kid friendly park located in Charlotte NC. 2365 Carmel Rd, (704) 643-5725 - Carmel Road is a kid friendly park located in Charlotte NC. 2400 Ramblewood Ln - Huntingtowne Farms is a kid friendly park located in Charlotte NC. 2414 Lester St, 7043435550? - Amay James Park is a kid friendly park located in Charlotte NC. 11401 Ardrey Kell Rd, (704) 540-2426 - Elon Park is a kid friendly recreation located in Charlotte NC. There are plenty more kid friendly parks in Charlotte. See all kid friendly parks in Charlotte North Carolina.